Product Overview Enhance the power of your Thunderbolt™ 2-equipped computer with the ultra portable Magma ExpressBox 1T and take your cards anywhere. • (2) Fans with Speed Control. 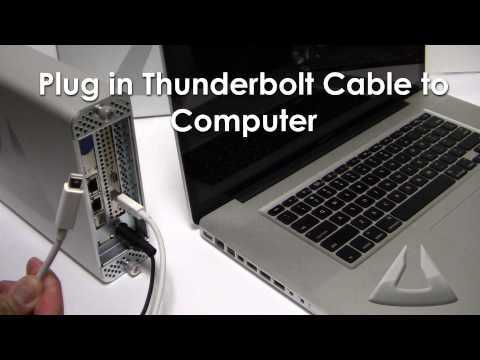 Enhance the power of your Thunderbolt 2-equipped computer with the Magma ExpressBox 1T and harness lightning-fast throughput over a single cable via Thunderbolt 2 technology. ExpressBox 1T enables serious professionals to use specialty PCIe cards with any Thunderbolt 2-equipped computer, so that you can achieve high performance wherever your work takes you. Add a PCIe card to ExpressBox 1T and your computer turns into a powerful workstation capable of HD video capture and editing, media transcoding, audio processing, data processing, or high-speed storage and networks. ExpressBox 1T offers the largest card length slot (7.75") among all half-length 1-slot Thunderbolt 2 chassis on the market, giving your Mac the power to achieve maximum performance with any compatible PCIe card. Whether your mission involves professional video capture, audio interface, SAS & SATA HBA, 8Gb Fibre Channel, 10 Gigabit Ethernet, or a RAID controller card, Magma’s family of Thunderbolt 2 products provide the perfect outside-the-box solution for your project. Need a quiet work environment for your recording or video projects? ExpressBox 1T features quiet ventilated cooling with two user-controlled fans, allowing you to adjust fan speed and noise level based on your working environment needs. • Transfer data at up to 20 Gbps. That’s 2x faster than Thunderbolt 1! • Use any compatible half-length PCIe card for HD video capture, audio interface, SAS/SATA HBA10 Gigabit Ethernet, 8Gb Fibre Channel, SSD data transfer, and more!